In the globalizing world of education it is the responsibility of universities to train a new generation of young professionals, creators of innovative ideas and intellectual thought. In this context, modern research universities play an increasingly important role. 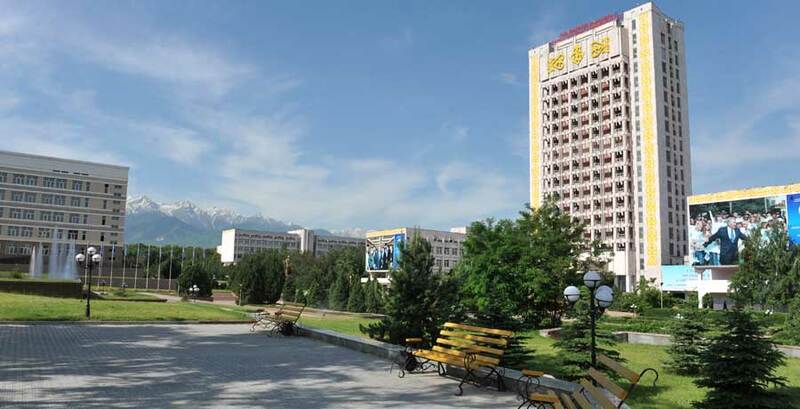 Kazakh National University named after Al-Farabi privileged to lead the global hub of the United Nations Academic Impact on Sustainable Development (United Nation Academic Impact) provides for review and maintenance of the project plan Model for Sustainable Development universities. This project is designed based on the analysis of best practices internationally recognized practices: Talluar declaration of sustainable development signed by over 500 universities and colleges, 20 of the Rio Declaration on Sustainable Development, the UNESCO Education for Sustainable Development; and analysis of practices of international universities: the University of Indonesia which in order to spread environmental knowledge in higher educational institutions of the world has created a rating system UI Green Metric World University Ranking, University of Santiago; Spain which implements sustainable development plan campus and University of Oldenburg, also Germany who developed curriculum (syllabus) given the inclusion of sections on Sustainable Development and the University of Oxford who implemented an effective energy conservation program which resulted in electricity consumption was reduced by 52%, as well as several other projects . Model developed plan for sustainable development of universities as a belief system concepts, ideas, considers the relationship of scientific, educational, administrative, ecological and socio- cultural aspects of the university. As a result of the activities of this Model Plan and assessment of all areas of activity of the university according to the developed criteria and indicators for sustainable development can be achieved by a system of universities transition to energy-intensive economy through the implementation of activities as well as making their own plans to create a “sustainable green campus”. Purpose: combining collaborative effort and mobilization of intellectual potential universities in the world to implement the Millennium Development Goals and plans for sustainable development at the university level, city and country. Actions: Concentration of effort and the use of accumulated scientific and managerial capacity of universities to implementation of sustainable development initiatives within the university, city and country. Collection of the materials of ІV International student forum "Green Bridge through Generations"